Field on the left closest to the baseball field. Do not park along firehouse. Â Park in designated spots along the grass. Field is located behind the MTES Elementary School. Parking is accessible along the road via Island Rd or in the MTES or NB MS Parking lot. Field is located behind the Mansfield Township Elementary School. Parking is available along the road via Island Rd or in the MTES or NB MS parking lots. 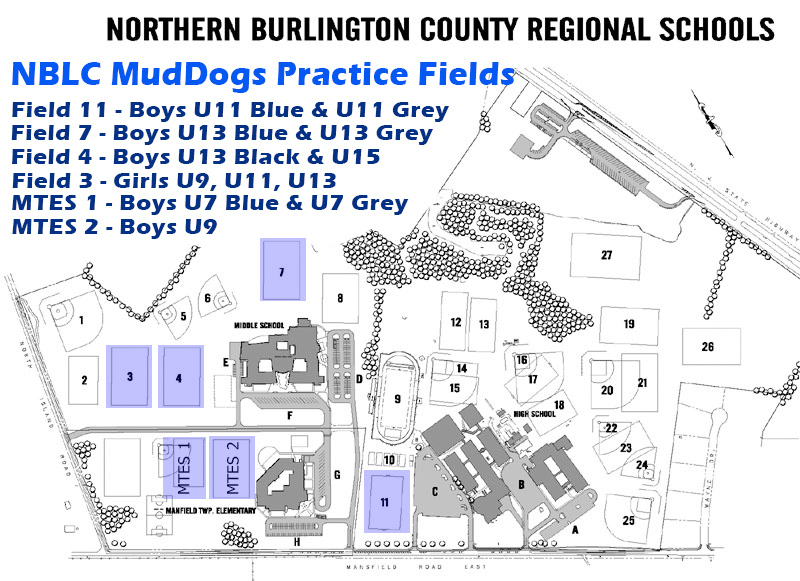 Boys and Girls Lacrosse fields are located behind the Middle School Building. Parking is accessible via N. Island Road. Directions: Across the street from Chesterfield Firehouse fields at the intersection of Bordentown Chesterfield Road (Route 528) and Crosswicks Chesterfield Road.